It’s already 6th of December. Only one day is left for the finale! It’s just a matter of some time, the viewers will get to know the most beautiful woman in the world. 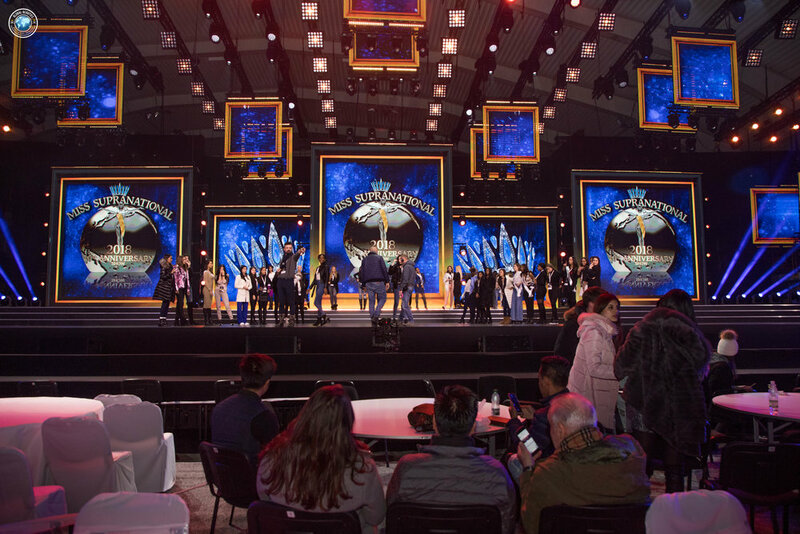 Miss Supranational 2018 - the tenth anniversary jubilee gala of the Miss Supranational competition will be taking place on December 7, 2018 for the fifth time in Krynica- Zdroj. The most awaited night will be hosted by an international duo that held the competition together in 2014: Polish presenter Maciej Dowbor and Belarusian presenter Ivan Podrez. Michal Szpak and the Blue Cafe band will perform during the final gala . On the occasion of the tenth jubilee edition of the Miss Supranational competition, all the previous winners will sit in the jury. This year’s edition will be broadcasted by almost 143 countries around the world. Jubilee of the 10th anniversary of the international beauty contest will be aired live on December 7 at 20:05 on Polsat. Looking forward to one of the most anticipated nights, let’s have a look at the grand set of the television show in the pictures below.